Roy Asotasi (born 6 January 1987 in Auckland, New Zealand) is a professional rugby league footballer for the Warrington Wolves of the Super League. A New Zealand international representative and also Samoan prop forward and he previously played for the Bulldogs, with whom he won the 2004 NRL Premiership and the South Sydney Rabbitohs from 2007 to 2013. Of Samoan descent, Asotasi was a product of the Marist Saints junior club in Auckland. He attended Marcellin College, Auckland. Asotasi joined Sydney NRL club, the Bulldogs club in 2000 as a prop forward where he was a regular member of their Jersey Flegg Cup team, playing in the Premiership-winning team against the Western Suburbs Magpies. In 2001 he was again a regular member of the Jersey Flegg Cup team and played in the Premiership-winning team against the Cronulla-Sutherland Sharks as a second rower. By 2002 Asotasi became a regular member of the Bulldogs' Premier League team and received the opportunity to join the highest grade of Rugby League in Australia, the NRL against Canberra, when Glen Hughes was injured. He returned to the Premier League to play in the Preliminary Final against Penrith Panthers but was injured and missed the Grand Final win. In 2004 Asotasi started the season in the NRL premiership and played every game of the season including the 2004 NRL grand final victory over cross-town rivals, the Roosters. In that same year he was also selected to play for New Zealand. He has played 14 Tests for New Zealand from 2004 to 2006. As 2004 NRL premiers, the Bulldogs faced Super League IX champions, the Leeds Rhinos in the 2005 World Club Challenge. Asotasi played at prop forward in the Bulldogs' 32-39 loss. In 2005 Asotasi played every match of the season before his sequence of 74 consecutive games was interrupted in 2006. He was injured just before the finals but returned to play in the Preliminary Final against Brisbane. 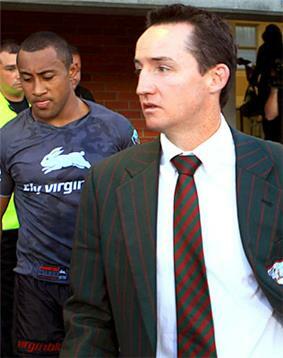 Foundation club, New Zealand national side captain, as of the 2008 Anzac Test Match. He was named in the New Zealand training squad for the 2008 Rugby League World Cup. However, in the Round 25 clash against the Sydney Roosters, Roy Asotasi picked up a pectoral injury and was sidelined for the remainder of the season and subsequently, took no part in New Zealand's Rugby League World Cup success. 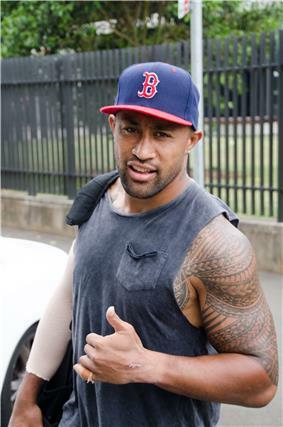 A pectoral injury also interrupted Asotasi's 2012 season. In April 2013, Asotasi captained Samoa in their test match against fierce pacific rivals Tonga. On the 2nd of July 2013, Roy signed a two-year contract to play for the English Super League club Warrington Wolves. His contract begins in 2014. On the 20th of August 2015, Tony Smith, coach of Warrington confirmed that he'd be releasing Asotasi for the 2016 season as he wants space to sign one more player to the team next season. Asotasi finished his Warrington career with 58 appearances, 5 tries and one goal. May 3, 2007: first game played in the famous red and green. ^ "Roy Asotasi". http://warringtonwolves.com. Warrington Wolves. 2014. Retrieved 28 July 2015. ^ Jessup, Peter (Sep 25, 2004). "League Kiwi flavour to NRL showdown". NZ Herald. Retrieved October 26, 2014. ^ "Kiwis select Sonny Bill". Sky Sports. 2008-08-08. Retrieved 2008-08-08. ^ "Roy Asotasi: Warrington Wolves sign ex-New Zealand skipper". BBC Sport. 2013-07-02. Retrieved 2015-09-23. ^ "Tony Smith says Warrington Wolves to sign one more, but Roy Asotasi heading back to Australia". Warrington Guardian. 2015-08-20. Retrieved 2015-09-23.